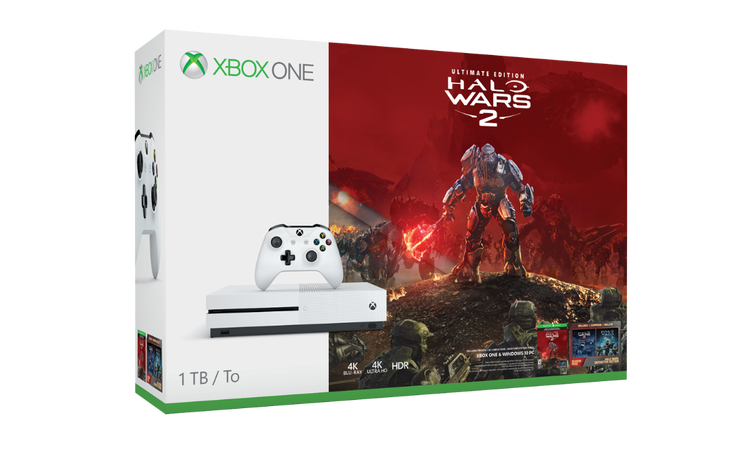 Microsoft has today announced two brand-new Halo Wars 2 and Forza Horizon 3 Xbox One S bundles. The Halo Wars 2 Ultimate Edition Bundle can be pre-ordered ahead of the game’s official release next month and will retail at $ 349.99 USD. 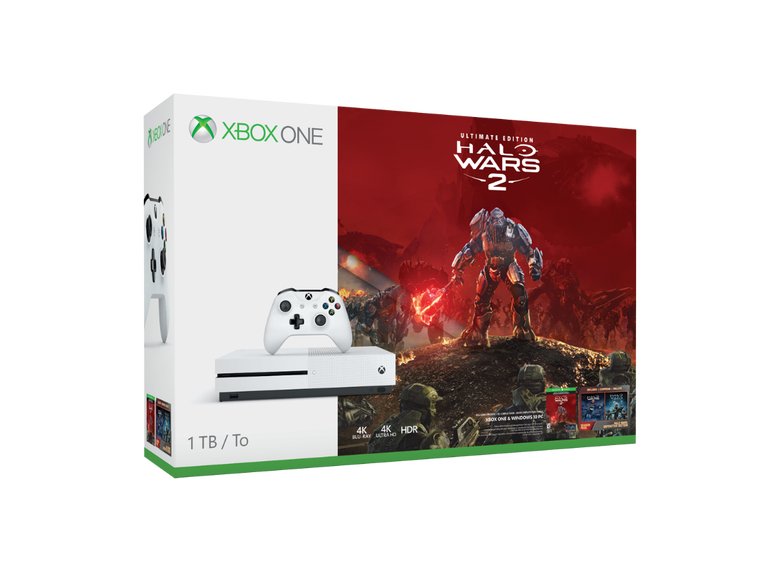 The bundle includes a 1TB Xbox One S console, a wireless Xbox One controller, a 14-day Xbox Live Gold trial and the Ultimate Edition of Halo Wars 2. This ultimate version includes the full game with four days of early access starting Feb. 17, the Season Pass and Halo Wars: Definitive Edition – an enhanced version of the classic real-time strategy game Halo Wars. Halo Wars 2 offers a new look at the RTS genre, a hybrid of action-oriented and classic tactical gameplay, and a new story from the beloved Halo universe. The action takes place on the biggest Halo battlefield ever – bringing armies of Spartans and other Halo fighting forces like Warthogs, Scorpions and more together against a terrifying new enemy known as The Banished. With varying levels of gameplay complexity, Halo Wars 2 is truly the RTS for everyone, created for both newcomers to RTS and strategy-genre veterans. 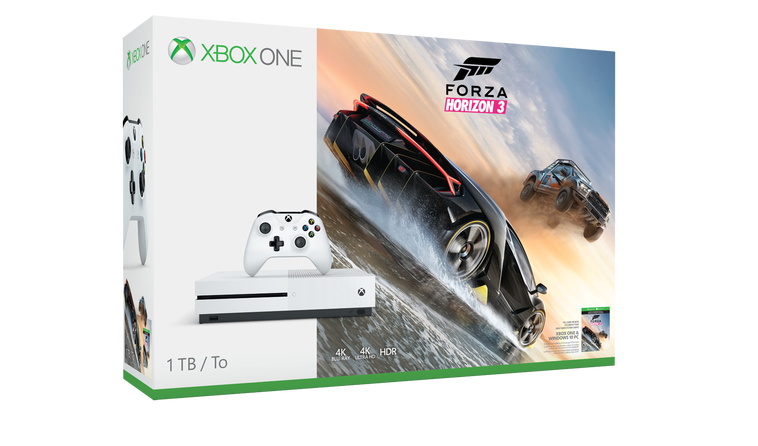 Forza Horizon 3 rightfully deserved its own console bundle and Microsoft will now be introducing a 500GB and a 1TB Forza Horizon 3 Xbox One S bundle. The 500GB bundle will retail at $ 299.99USD, while the 1TB version will sell for $ 349.99USD. Both bundles will be available starting February 7th. For anyone new to Forza, this is a great time to join the rest of the community with the latest release from the most successful racing franchise on any platform this generation. Forza Horizon 3 puts you in charge of the Horizon Festival, where you can customize everything and explore Australia in over 350 of the world’s greatest cars. Both new bundles come with a digital download code of either Halo Wars 2 or Forza Horizon 3. Forza Horizon 3 is available now for Xbox One and Windows 10 PC. Halo Wars will release globally on both platforms on February 21.